Fabinho well and truly announced himself as a Red during Liverpool’s 4-3 win over Crystal Palace on Saturday. Besides producing another dominant midfield display, the summer signing underlined just how at home he feels as he joined teammate Roberto Firmino in a well-rehearsed celebratory dance. This arrived after Firmino had squeezed his effort beyond Julian Speroni to give Liverpool a 2-1 lead and cap what he been a ferocious start to the second half. 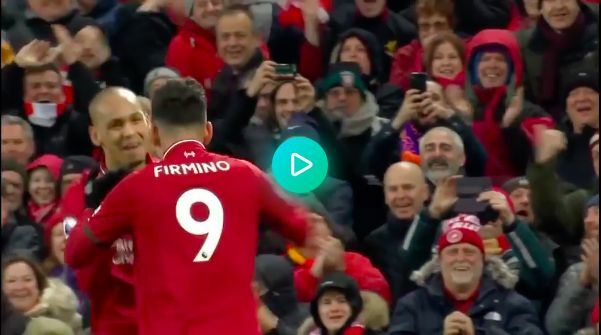 The no.9 has built himself a reputation as something of a ring leader where celebrations are concerned, regularly choreographing new routines during Philippe Coutinho’s time at the club.